On November 23, WestLicht of Vienna will once again offer a variety of rare camera equipment for auction. These will of course include some rare and unique Leica items. WestLicht is known to have set several records. A Leica 0 series camera was sold for the sensational price of 2.16 million euros, and last November the legendary M3D was sold for 1.68 million euros and is now the most expensive camera from a serial production ever. The Leica I Mod. C ‘Luxus’ is in 100% original and fine condition. The camera with gold-plated metal parts and lizard skin body was never restored and has the typical patina. Only 95 ‘Luxus’ cameras were produced from 1929 to 1931. Westlicht will also sell the famous presentation camera for Dr. Ernst Leitz II. This famous camera is the ‘One Millionth Leica’. The Leica M3 is in fine original condition, with matching and mint CF Summicron 2/50mm. It was exhibited in the Leitz Museum (with original yellow museum sticker ‘M 964′ on base plate) and was part of the Surat Collection. Outfit including very early M3 body no.700051 in original condition, engraved ‘Leica Technik 57′ on rear of top plate. (all prototype lenses in fine condition with caps). This was the personal camera outfit of Theo Kisselbach, directly purchased by the current owner in 1966! The complete and detailed catalogues to this auction will be published 4-5 weeks prior to the auction date. LEICA CAMERA AG NOMINATED AS "ENTRPRENEUR OF THE YEAR." 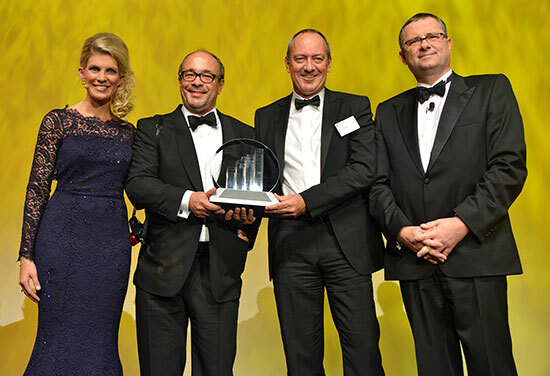 Solms (ots) - For the 17th time, the accounting and consulting firm Ernst & Young awarded the best medium entrepreneur in Germany "Entrepreneur of the Year" award. From the 58 finalists in five categories, Leica Camera AG went through a rigorous selection process in the consumer goods category and emerged as the winner. The business award was handed over at a ceremony at the Alte Oper in Frankfurt yesterday evening. Dr. Andreas Kaufmann, principal shareholder and Chairman of the Board of Leica Camera AG, and Alfred Schopf, CEO, were also nominated as the German representatives to the international competition "World Entrepreneur of the Year 2014. The award ceremony will take place on 7 June 2014 in Monte Carlo. The independent jury of renowned industry experts praised their selectiont for the impressive growth rates, the high technological innovation, the efficient organizational structurr, strong customer relationships and the social commitment of the companiy. A key decision criterion of the jury was the willingness to invest and the ability of the company to respond quickly to changing market conditions with innovative products and services. Alfred Schopf, CEO of Leica Camera AG: "The award shows once again that we have taken the courageous digitization of our products the right way. The potential of the Leica brand and their staff not only lies in the power of innovation, but also in the ability to successfully implement these innovations. It require the contribution of a dedicated and highly qualified staff to which my special thanks go at this point." Dr. Andreas Kaufmann, principal shareholder and Chairman of the Board of Leica Camera AG: "Entrepreneurship is about taking responsibility and creating value. Short-term sales records and profit per se do not generate lasting value, it requires a high level of technological innovation, investment readiness, social commitment and desire for change. With a hundred years of heritage the tradition of the Leica brand remains and demands that we are successfully facing the challenges of global markets more than ever." Today Leica Camera Ag introduced the first model of a new line of Leica digital compact cameras, the Leica C. Small enough to fit in a pocket, the Leica C offers a sophisticated feature package in an impressively stylish design, making it the ideal camera for discerning photographers and aficionados of exquisite design. An eye-catcher in every respect, the Leica C's impressive technical features are housed in a truly unique body. The camera's slim and stylish form results from the work of Audi Design, who was also commissioned to develop its range of exclusive accessories. A chic color concept that underlines its simple elegance - the Leica C is available in two finishes: 'light gold', a refined combination of gold, ivory and black, and 'dark red', a classic black with burgundy tones. 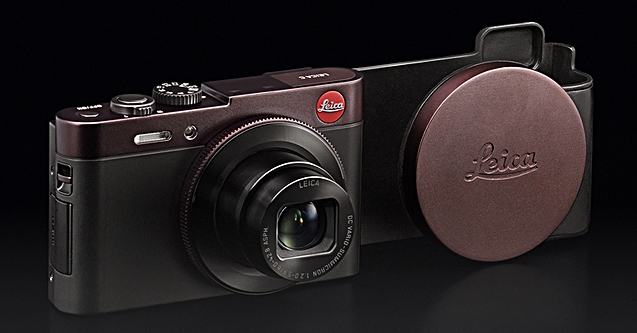 Its collection of innovative accessories in premium materials further highlights the unique look of Leica's new compact camera line. Featuring a high-performance Leica DC Vario-Summicron zoom lens and an exceptionally large sensor for its class with a resolution of 12.1 megapixels, the Leica C is suitable for almost any photographic occasion and delivers outstanding imaging performance, even in unfavorable lighting conditions. The Leica C is the first Leica compact camera to feature an integrated Wi-Fi and NFC (Near Field Communication) module for the wireless transmission of image data to smartphones and tablet PCs. It also offers a wide range of camera functions, in-camera processing options and an intuitive handling concept for spontaneous photography. Its Leica DC Vario-Summicron 6–42.8 mm f/2–5.9 ASPH. 7× zoom lens, with a range equivalent to 28 to 200 mm in 35 mm format, is extremely versatile and ideal for almost all photographic situations. The programmable ring around the lens provides even greater creative freedom. From portraits to expansive shots, such as landscapes, the combination of high-precision optics with a large sensor guarantees exceptional imaging performance and pictures with brilliant, natural colors, clarity and contrast. Thanks to its extremely fast autofocus and a continuous-shooting mode with up to ten frames per second, it captures even the smallest details. The serious photographer will be pleased by the inclusion of an integrated LCD viewfinder. The Leica C's integrated Wi-Fi and NFC (Near Field Connection) module allows the wireless transfer of still pictures and video data to smartphones and tablet PCs via a WLAN connection. To enable this function, users simply have to download the Leica C Image Shuttle app and install it on their iOS or Android end device. By dialling into a WLAN connection, users can activate the data transfer. WLAN and the app also enable remote control of the Leica C from a smartphone or tablet PC, which is particularly useful for remote-release photography and when shooting with the self-timer. The Leica C's full-HD video function opens up even more creative opportunities. The photographer is always in complete control during exposure and recording thanks to the camera's 3'' monitor. The integrated viewfinder is particularly effective when shooting in bright light. Videos and still pictures can be creatively processed either in the camera or with Adobe® Photoshop® Lightroom®. Concurrent with the launch of the Leica C, Leica Camera is also extending its service portfolio. This provides particular benefits for Leica C customers, as they can take advantage of a secure image-archiving package as an exclusive starting offer. More details will be announced in the near future. Designed to perfectly complement the elegance of the Leica C, Leica offers a range of innovative and superbly finished, stylish accessories. For example, the Leica C-Clutch, an elegant clutch in light gold or dark red premium Alcantara with a sandblasted metal closer, offers two separate compartments with ample space for the camera and other personal belongings. The collection also includes the Leica C-Twist, C-Snap, C-Case, C-Pouch and C-Wrist Strap. Eine Ausstellung im Hessenpark präsentiert rund 60 Meisterwerke aus dem breiten Spektrum von Bildern der berühmtesten Leica Fotografen, unter anderen: Henri Cartier- Bresson, Barbara Klemm, Robert Lebeck, Inge Morath, Erich Salomon und Dr. Paul Wolff. Dabei handelt es sich um Schwarzweiß-Aufnahmen mit großem Nuancenreichtum an Halb-und Zwischentönen, von denen eine besondere künstlerische Wirkung ausgeht. Die ausgestellten Fotografien haben häufig auf humorvolle Weise den entscheidenden Augenblick festgehalten und veranschaulichen auf diese Weise die dynamische Life Fotografie, die mit der Leica begründet wurde. Viele der Bilder haben einen hohen Bekanntheitsgrad und sind zu Klassikern der verschiedenen Fotografen geworden. Ikonengleich haben sich einige von ihnen sogar in unser visuelles Gedächtnis eingeprägt wie Der gestohlene Säbel von Robert Lebeck oder Der Kniefall von Willy Brandt von Hanns Hubmann. Die Aufnahmen entstanden schwerpunktmäßig in der Zeit vor dem Zweiten Weltkrieg und in den 1950er bis 1970er Jahren. 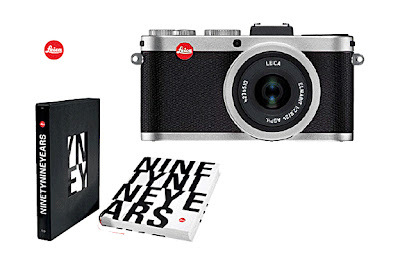 From Leica Camera comes the announcement of a new mail-in promotion for the Leica X2 camera. With every purchase of a brand new Leica X2, customers will receive the English version of the popular ‘Ninety Nine Years’ book, a $130 value. The book directs an emotional spotlight on 99 years of passion and enthusiasm for a small camera developed by Oskar Barnack in 1913/14. The Leica X2 mail-in promotion starts on September 1, 2013 and runs through October 15, 2013. 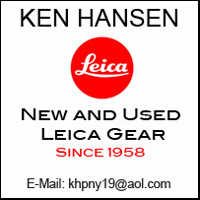 This promotion is not valid for the Leica X a la carte program or the Leica X Vario. To receive a copy of ‘Ninety Nine Years’, a customer can mail-in a copy of the promotion form, warranty card & copy of sales receipt to Leica Camera Inc.
> The Leica X 2 Mail-In Promotion is only valid for brand new Leica X2 cameras imported by Leica Camera Inc. and sold through Leica Stores, Boutiques & Dealers in the United States and Canada. > This Mail-In Promotion cannot be combined with any other offer. > No other form of payment or substitution will be made by Leica Camera Inc.
> The ‘Ninety Nine Years’ book will be shipped to the name and address (US and Canada only) on the warranty card. > Leica Camera Inc. will process all mail-in promotions within 6-8 weeks. > Leica Camera Inc. reserves the right to withdraw, change the terms and conditions of the promotion, etc. at any time.